WATERBURY CONNECTICUT Vending Machine Companies! 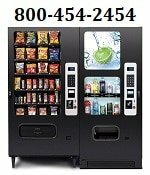 Offering Free Vending Machines: Snack, Soda, Food, Frozen, Healthy, Micro Markets, Coin-Op Amusement Games, repair services and more for your breakrooms. Please contact these vending machine operators directly for more information about their vending products and services. Bee’s Vending has been serving the Waterbury, CT-area for more than 50 years. That kind of experience doesn’t happen by accident. It happened by consistently serving the good people of Waterbury with great products, top-level support and doing business with the utmost integrity. Services: Vending Machines, Office Coffee Service, Micro Markets and more call 203-574-2337! 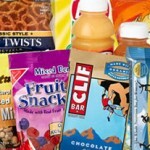 Lathrop Vending has been providing Eastern Connecticut with the widest variety of fresh, high quality foods, drinks, and snacks since 1971. By combining all your favorite brands with our unparalleled customer service, you quickly see why Lathrop Vending should be your first choice for sales, service, and support. Services include: Vending, Coffee Service, Micro Markets, Water & quality refreshment products!